In Bringing up Bébé, journalist and mother Pamela Druckerman investigated a society of good sleepers, gourmet eaters, and mostly calm parents. She set out to learn how the French achieve all this, while telling the story of her own young family in Paris. 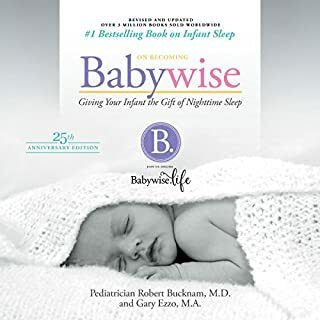 Bébé Day by Day distills the lessons of Bringing up Bébé into an easy-to-listen-to guide for parents and caregivers. You only live once... so why not? Discover tried-and-tested techniques to help you relax during labor, so that you can work with your body for an empowering, positive birth. 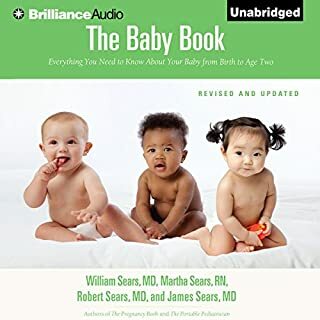 Birth is a natural and normal event and, while it can be unpredictable, this audiobook will show you how you can make it a gentle and enjoyable experience. 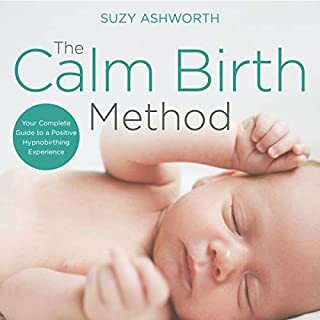 In The Calm Birth Method, hypnobirthing expert Suzy Ashworth helps you to build confidence in your body and its abilities and shares practical techniques to support you so that, no matter what happens, you feel prepared. The secret behind France's astonishingly well-behaved children is here. 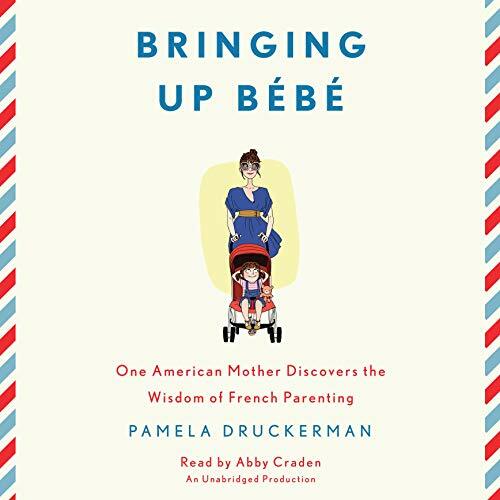 When American journalist Pamela Druckerman has a baby in Paris, she doesn't aspire to become a "French parent". French parenting isn't a known thing, like French fashion or French cheese. Even French parents themselves insist they aren't doing anything special. Yet the French children Druckerman knows sleep through the night at two or three months old while those of her American friends take a year or more. French kids eat well-rounded meals that are more likely to include braised leeks than chicken nuggets. And while her American friends spend their visits resolving spats between their kids, her French friends sip coffee while the kids play. Motherhood itself is a whole different experience in France. There's no role model, as there is in America, for the harried new mom with no life of her own. French mothers assume that even good parents aren't at the constant service of their children and that there's no need to feel guilty about this. They have an easy, calm authority with their kids that Druckerman can only envy. Of course, French parenting wouldn't be worth talking about if it produced robotic, joyless children. In fact, French kids are just as boisterous, curious, and creative as Americans. They're just far better behaved and more in command of themselves. While some American toddlers are getting Mandarin tutors and preliteracy training, French kids are - by design - toddling around and discovering the world at their own pace. 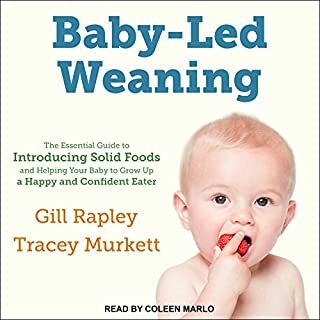 With a notebook stashed in her diaper bag, Druckerman, a former reporter for The Wall Street Journal, sets out to learn the secrets to raising a society of good little sleepers, gourmet eaters, and reasonably relaxed parents. She discovers that French parents are extremely strict about some things and strikingly permissive about others. And she realizes that to be a different kind of parent, you don't just need a different parenting philosophy. You need a very different view of what a child actually is. 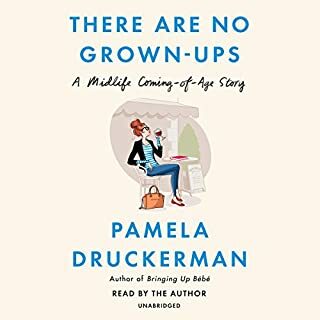 While finding her own firm non, Druckerman discovers that children - including her own - are capable of feats she'd never imagined. I wish they wouldn’t use fake French accents whenever they read a quote from a French person. Humorous and witty!! Very informative for a parent bringing up a child from different ethical background in a different region. I started listening to Bringing Up Bébé the very same day it came out. 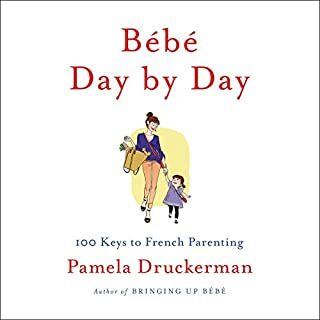 Having a “bébé” of my own who is rapidly morphing into a destructive whirl of Tasmanian Devil-style energy, I was immediately sucked in by the title of the opening chapter of Pamela Druckerman’s book: “French Children Don’t Throw Food.” Oh really… I’m listening. 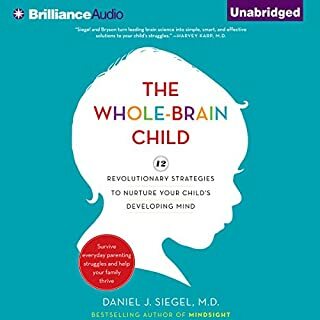 I’m not sure that there’s any one big Holy Grail of child-rearing here but this book proved to be charming, funny, and VERY informative, and I’ve found it’s been helpful in guiding my thinking about what kinds of values I want to try to instill in my child. Some of these have been surprising. For instance, Druckerman writes that in American households we force “please” and “thank you” down our kids’ throats - convinced that if they can master these two critical mantras of etiquette then they will be society ready. In France they teach this too, but there are two other, even more critical, words: “hello” and “goodbye”. French children don’t slink into the room or run to the TV when their parents' friends are visiting. They look the adult in the eye and say “hello”. The reverse plays out when the visitor leaves. French parents feel that this confers respect – that doing this forces their children to acknowledge the humanity of another person. Listening to this while driving to work I found myself practically fist-pumping. “Yes! I want my daughter to acknowledge the humanity of other people too!” She goes on to point out that much of the hostility that American tourists experience from the French originates from the fact that we don’t say “bonjour” upon getting in a cab or entering a restaurant. Who knew? Overall this was a truly enlightening listen, filled with lots of inspiring little tidbits like this. Druckerman is funny and relatable and Abby Craden as the narrator was perfection. 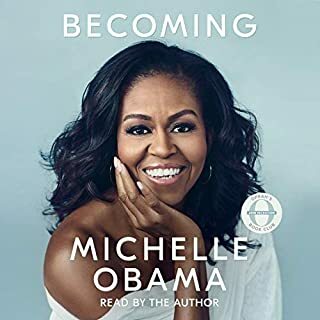 I was actually surprised it wasn’t the author reading it because her delivery is so natural and she sounds so connected to the material. This book made me laugh. My daughter is 11 months old and I read most of it while juggleing her from place to place. Well written and funny. I gave it to my sisters. The writer is honest and also adds in a lot of facts about France- I learned a lot along my audio journey. What insight do you think you’ll apply from Bringing Up Bebe? To moms: trust yourself. You know more than both you and the oober mommy culture think you do. 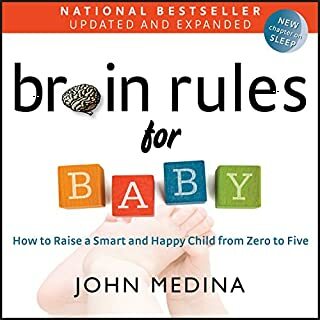 This is the first book on parenting I've enjoyed reading... Come to think of it, it's the first book on parenting I've actually managed to finish. This book made me feel both hopeful and amused. The premise of this book is an interesting one. I enjoyed the way that Druckerman gave her stats and kind of let the reader take from it what they wanted to. I read on a review on another site where someone said that she raves about parenting in France and bags on American parenting. I didn't find that to be true. It's a good book, I took away a lot of ideas. Abby Craden is a good narrator. I haven't had a lot of experience listening to non fiction, but I will now. 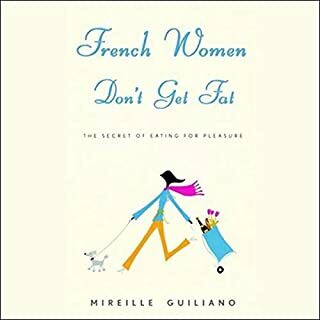 Valuable takeaways from this book, but was distracted by how the narrator pronounced French words. Maybe this it was intentional to reinforce the American-speaking-French idea, but her accent was noticeably inauthentic. Humerous and sometimes serious account of living in Paris and raising children there. 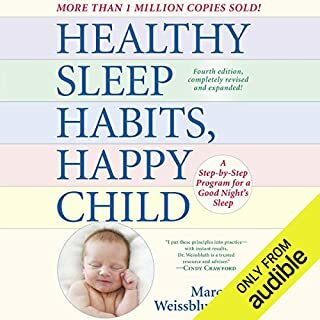 I found it interesting to listen to the differences and want to apply some of the advice for myself (no snacking between meals, but for a planned one in the afternoon). Fun book! What did you love best about Bringing Up Bebe? 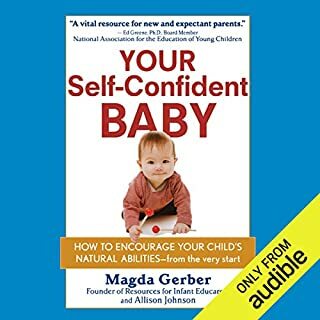 Parenting books are almost invariably insufferable as they offer some combination of patronizing, ineloquence, triviality, and sanctimony. This book was a clear exception: well-written, interesting and relevant. However, the narration was enervating: most French words, terms, names, and expressions were pronounced incorrectly, and all French speaking characters were performed with a fake French accent (in English). However, even with these shortcomings, I very much enjoyed listening to this book. I resented the mispronunciation of most French words, names, and expressions (from bonjour to Paris Match, through Virginie and innumerable others). Does no one check these things for a narrator who clearly does not speak french? Also deeply disliked the fake French accent (in English) in which all French-speaking characters were read. 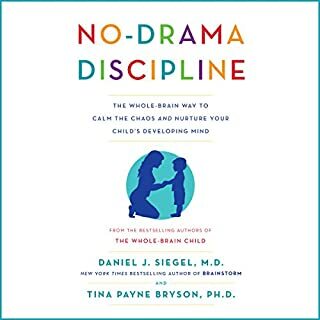 The chapters on waiting, food, and discipline. 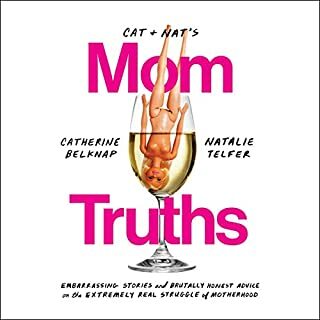 This book was more the author's personal life (her relationship and work) than actual class between her culture's parenting and parenting in France. She presents herself as a type of New York mom that I can't related to despite being from the US -- so the idea that it is US parenting vs French parenting falls flat. I liked it. This book gives a glimpse into the French way of parenting. It turns out there is a lot to admire and emulate. 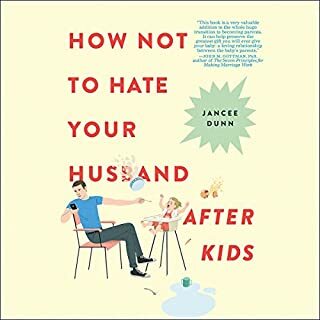 The author did a good job of high-lighting the things that drive me crazy about what a lot of Americans moms tend to do (I'm guilty! ), but in a light way. I don't see this book's premise as a another reason to feel bad as parents, though. I look at it as food for thought. Speaking of food, I've been introducing more variety w/ my kids (based on the French way),...voila! it worked!